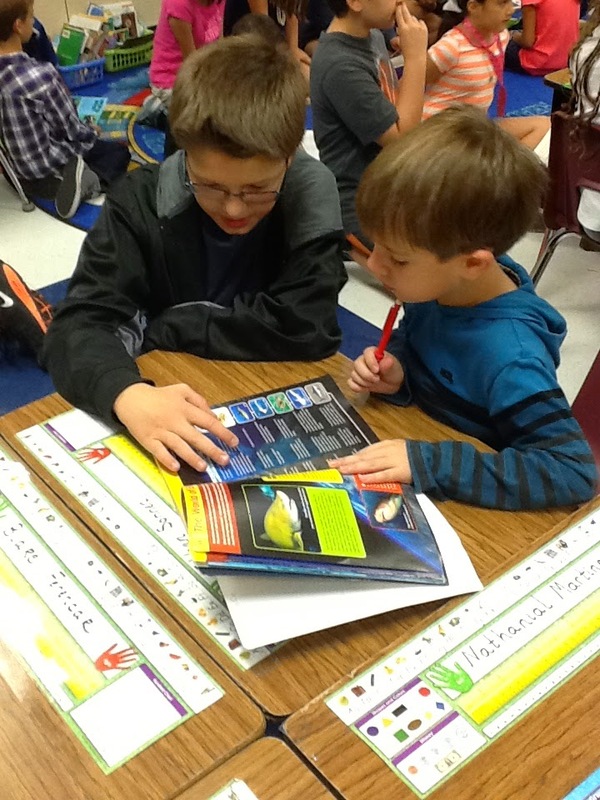 I love reading buddy day! As one of my 4th grade teachers noted, "Our whole school shuts down once a month to do this... It is fun to see how excited the little kids get, and how motivated the big kids are to be a role model". She's right. As I see the kids walking through the halls, books in hand on their way to their buddy class, I ask, "Where are you going?" 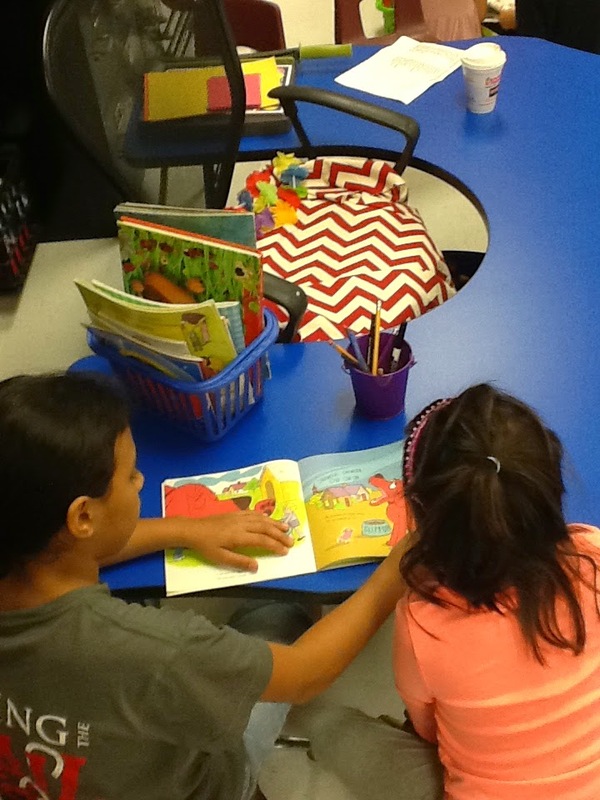 and they respond back with a huge smile, "To read with our buddies!". This year, writing is a school wide focus and so we thought about incorporating some kind of writing into the buddy time. 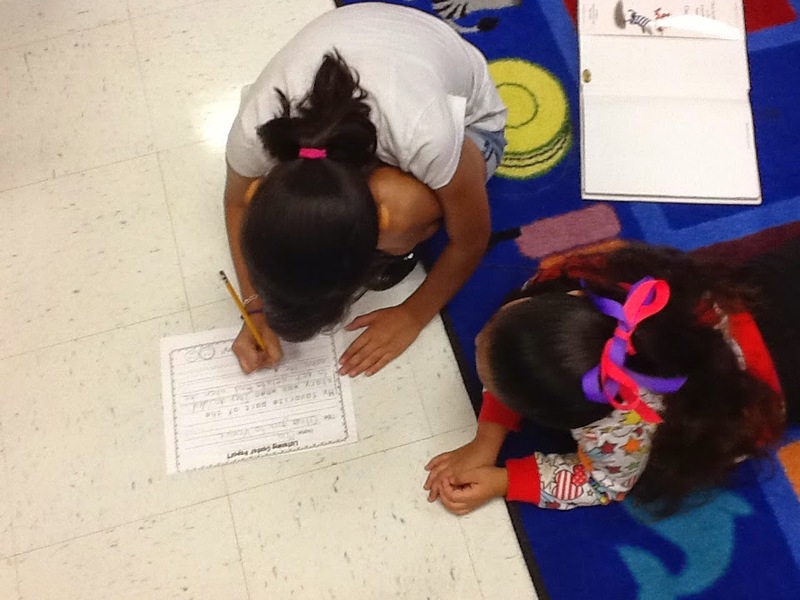 A kinder student dictates to her 3rd grade buddy her favorite thing about the story they read.